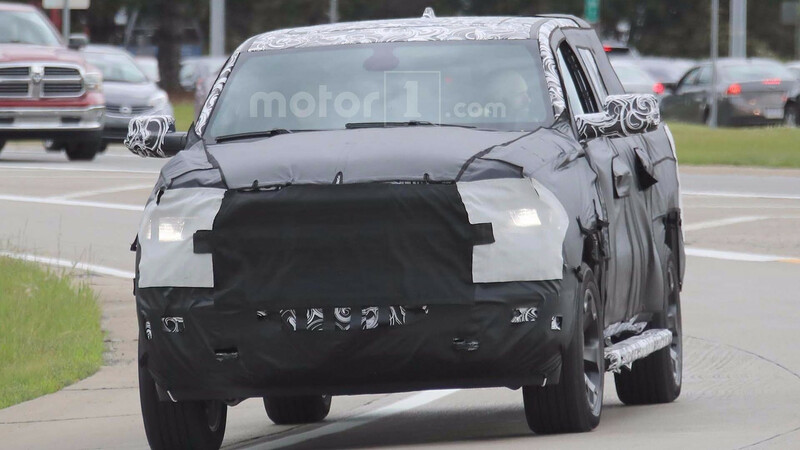 Pickup trucks are booming in the United States, and now we have our first glimpse of the next-generation Ram 1500 half-ton as it meanders around the highways of southeast Michigan. Actually, glimpse might be a bit of a stretch as this prototype is covered nose-to-tail in heavy camo. That doesn’t mean we aren’t able to draw upon a few clues as to how the next Ram will get along. The wheelbase suggests the future truck will have a much roomier crew cab as well as additional cargo space in the bed. We also expect the forthcoming Ram to feature a new split tailgate as an available option, all while building on tried-and-true features like the Ram Box. Expect interior enhancements and upgrades similar to what we’ve seen in the new Chrysler Pacifica, which would give the big truck plenty of luxury to go along with modern tech. 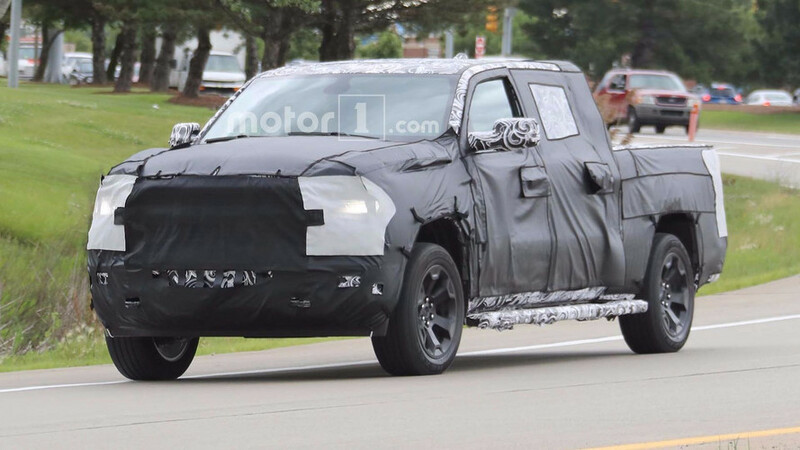 The camouflage covering on the front bears a very curious resemblance to the Ford F-150, leading us to wonder if the folks at Fiat Chrysler Automobiles are up to some trickery or if it’s just a coincidence. 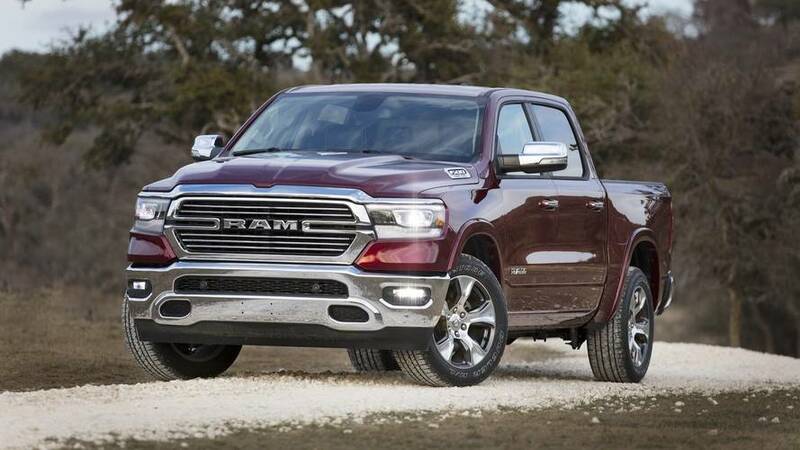 Regardless, we can make out some of the new Ram’s front-end attributes behind the fabric, including its signature larger-than-life grille which still appears to have a prominent middle bar. Headlamps appear to be set a bit higher than the current model, with a familiar tail light and dual exhaust arrangement existing out back. Underhood it’s likely the current engine options will carry forward, at least in the beginning. With the manufacturer currently facing some heat from the EPA over possible cheating on diesel emissions, the EcoDiesel’s future may be subject to debate. If rumors of a mild hybrid system for the Ram hold true, however, the diesel just might disappear anyway. The new Ram will likely stay well undercover this year, with a possible preview at the 2018 North American International Auto Show in Detroit.